This is a sample letter that you can send to your foreign ministry/secretary of state. Email addresses are below the sample letter. 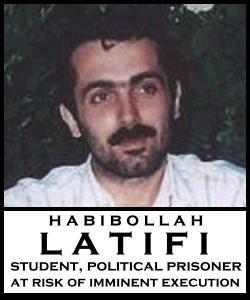 The Islamic Republic of Iran wanted to execute beloved student and political prisoner Habibollah Latifi this morning. A global outcry, both inside and outside of Iran, made the killing machine that is the Islamic Republic stop in its tracks. Just a few hours ago, the Islamic Republic’s security forces ransacked the home of Latifi’s family, confiscating computers and documents, and arresting several family members, in order to silence the protest. And likely in order to kill this young man Habibollah in silence. 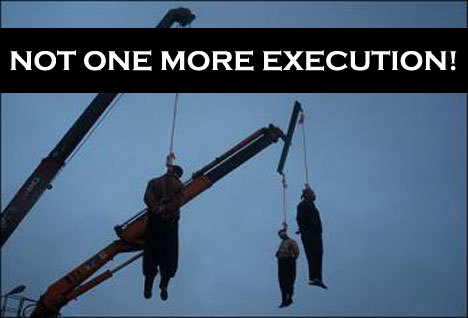 But we, honorable people worldwide, do not allow the Islamic Republic to kill our sisters and brothers in silence. We have demanded, and continue to demand, that governments once and for all stop issuing meaningless condemnations of the Islamic Republic’s atrocities, of this brutish regime’s crimes against humanity. We demand – I demand – that governments start acting in support of the human rights of Iranian people, and thereby in the support of all people. It is well past time to withdraw your implicit support for this mass-murdering regime and suspend all diplomatic relationships. I demand – in the name of Habibollah Latifi, and in the name of thousands upon thousands of those killed and waiting to be killed by this feral regime – IMMEDIATE closure of the doors to the Embassy of the Islamic Republic in this country. Enough is Enough, tired of blood shed. The behavior of the IRI is sinful and must be stopped!!! Stop this genocide of our people please. I want friheit for Habibollah Latifi.,He is a gute mensh. and Molla regim ist Terorist. Bernard Kouchner is no more France’s Minister of Foreign Affairs ; Michèle Alliot-Marie is. But no email address available on the official website… they can’t be bothered. we need help and support please us please help habib latifi and family.